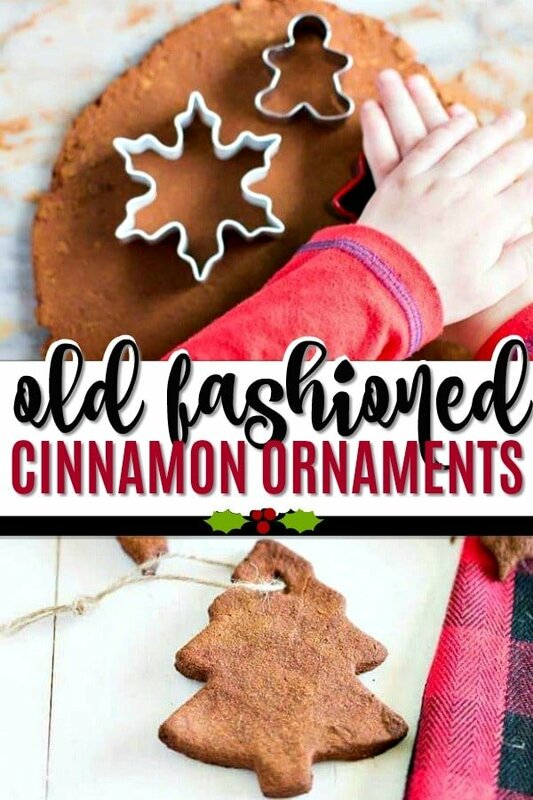 These Old Fashioned Cinnamon Ornaments are the perfect holiday craft for kids! 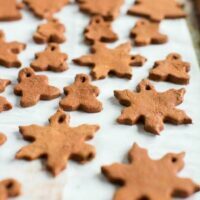 I can remember as a little girl the delicious smells of cinnamon and sugar wafting from the kitchen as my mom, sister and I did Christmas baking together. 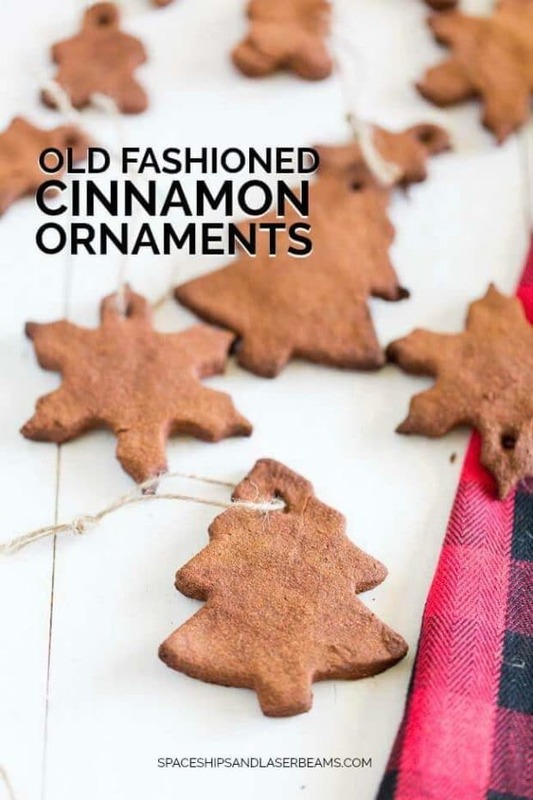 Cinnamon ornaments were always one of my favorite creations that we made each winter. They smell like Christmas and look so magical hung on the tree. This sweet recipe is brought to you by our partner, Imperial Sugar. 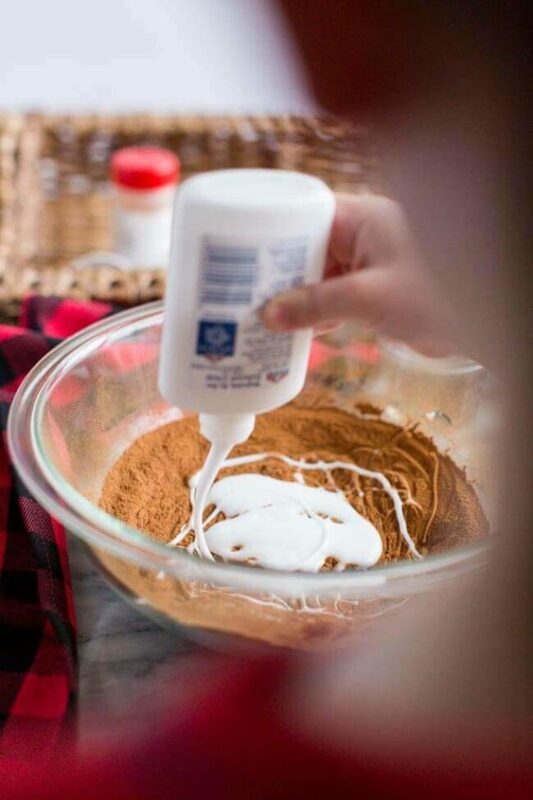 Even though I love being in the kitchen any time of year, I especially love holiday baking. A warm over and intoxicating scents can’t be beat on a cold winter day! There is something so special to me about recreating family favorite recipes that I made as a little girl. I love making those memories with my boys and handing down those traditions. That’s the best part of the holidays to me. 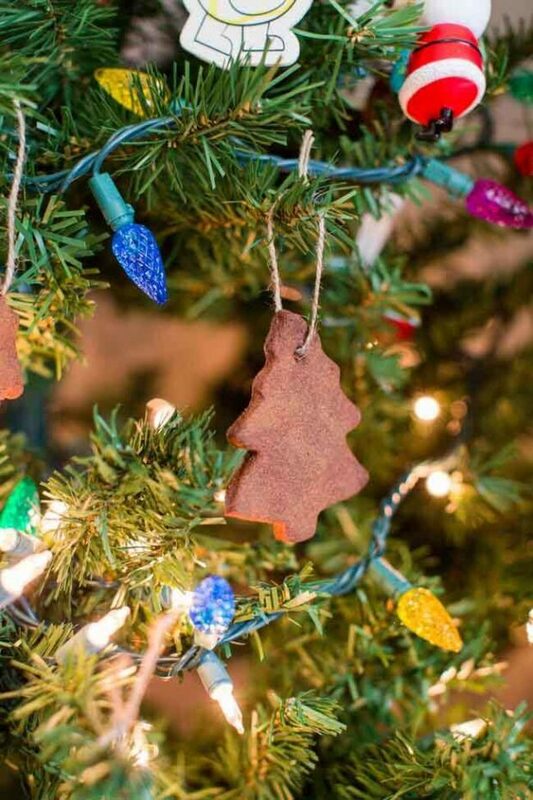 That’s one reason I love these cinnamon ornaments so much. They hit all your senses: the process of creating the dough is like therapy to me. It’s so fun to cut out the shapes — I loved watching Rowen work with his little hands. The smell as you mix and then bake is amazing. I also love that I can admire our creations on my tree all season long. And then tuck them away to decorate with next year. I’m reminded of our kitchen time together every time I glance at the tree. May I suggest marking the date in a couple ornaments before baking? You’ll thank me years later when you remember how little your kiddo was and how precious their creations are. Just ask my mom. 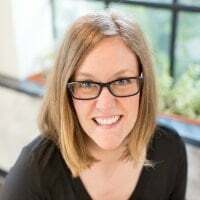 😉 She still has some of my original handiwork! Any good recipe starts with good ingredients. A high quality sugar makes all the difference in this recipe. 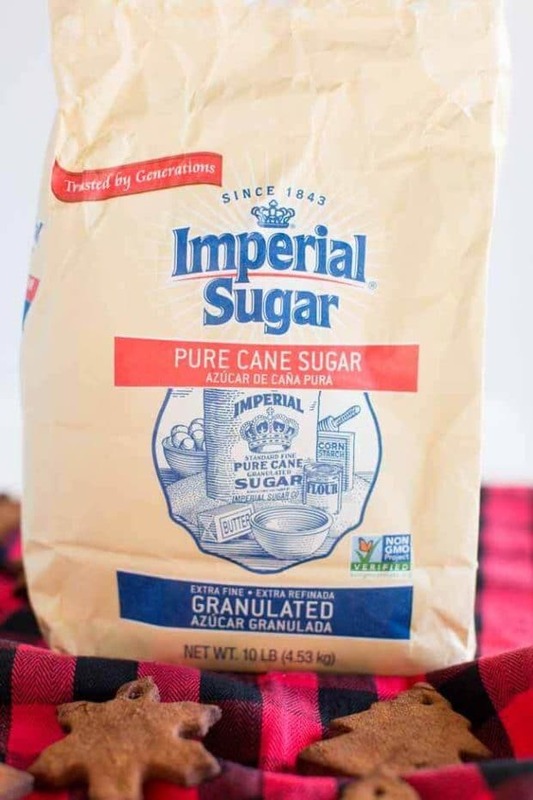 Imperial Sugar offers the best standard in their products. With over 170 years in business, Imperial Sugar knows their stuff — and you can tell by how well your creations will turn out. Rowen and I had such a great time in the kitchen making these together. 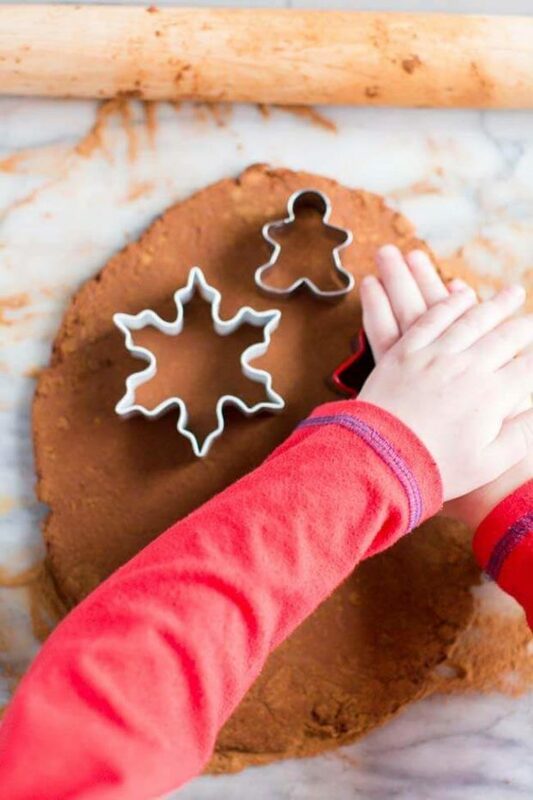 It’s the perfect craft for kids — simple and creative. 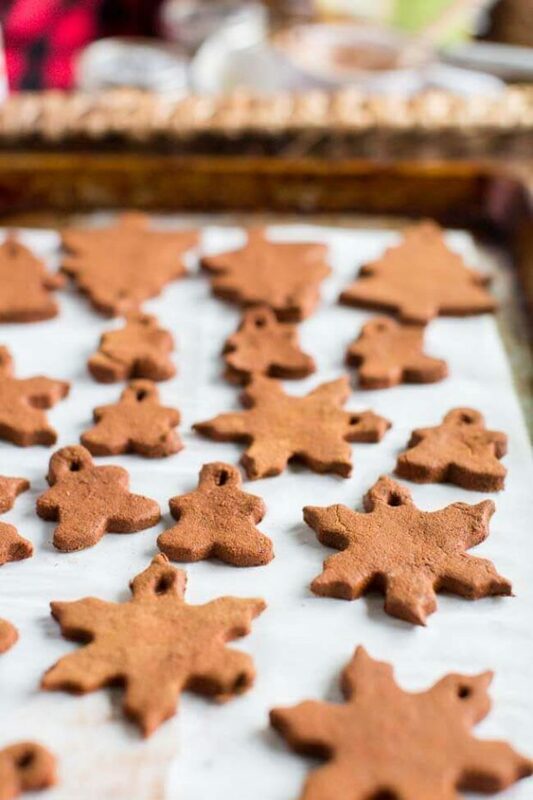 Plus, what’s better than the smell of warm cinnamon and sugar on a chilly day? Nothing, that’s what. You’ll have all these Christmas favorite ingredients in your cupboard already so you can get started right away. 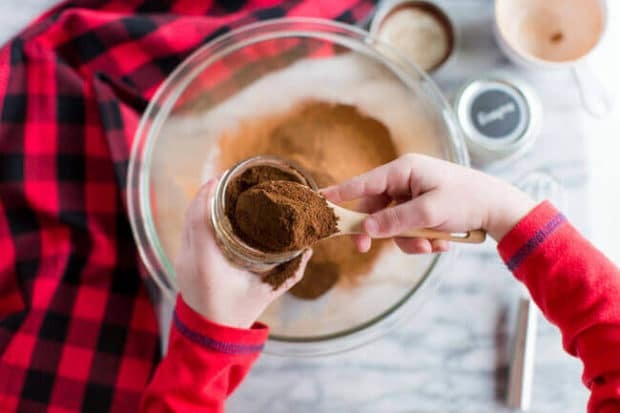 Combine cinnamon with clove and nutmeg in a medium sized bowl. Stir well then add applesauce and glue. Mix by hand to form smooth, clay-like dough. Roll out your dough to about 1/4 inch thickness. 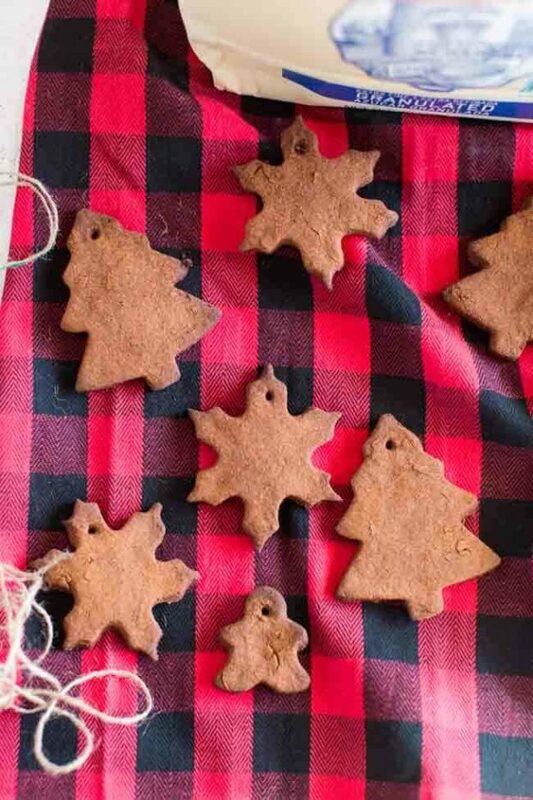 Cut out holiday shapes with cookie cutters. Add a hole in the top for a ribbon with a straw or toothpick. Life shapes carefully with a spatula and place on a parchment paper cookie sheet. Bake at 200 degrees for 2-3 hours until dry and hard. Tie with a ribbon and hang on your tree or use as a package decoration like our example below.